Brian is selling businesses throughout South Australia – and will be looking at taking on listings in the Northern Territory. 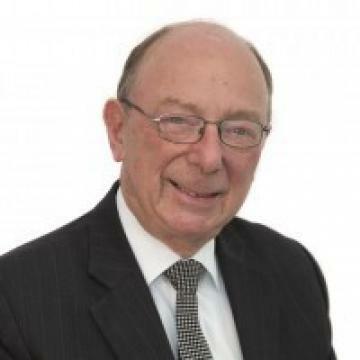 Brian Sander is one of Australia’s most experienced business brokers, Brian has been selling businesses for over 35 years. He was Managing Director of Sander & Associates before the merger of his business with another business broking firm in September 2002. In January 2014, Brian opened Benchmark’s Adelaide office. Brian’s early training was general real estate, then in the commercial field, where he was employed by a large international company. He moved into business sales in the mid 1970’s and in 1981 formed his own company Sander & Associates. Brian is one of the few people in South Australia to hold both qualifications of Valuer and Business Broker. This combination of skills has made him a valuable expert witness in Court matters relating to the valuation of business and goodwill. He is a certified Business Broker, Land Conveyancer and a qualified Valuer. He is an Associate of the Australian Property Institute, the peak body of Valuers in Australia. He is also a Fellow of The Australian Institute of Business Brokers and sits on the National Executive of that organization. He is a Fellow of the Real Estate Institute of Australasia and was the Inaugural winner in 2005 of the Sir Robert Torrens Award for service to the industry. Brian is a certified Level 4 Trainer & Lecturer for both Real Estate Institute of SA and TAFE in Business Sales, Valuation and Documentation. In 2015 Brian was the winner of the AIBB National Presidents Award. Contact Brian Sander today if you would like to sell your business or have any questions. Lunch Bar/Cafe in thriving Adelaide Hills Town. Current Turnover in excess of $11,000 per week. One of the Longest Established businesses in this industry in Australia. No Staff currently involved, run solely by two working Owners; Stock being offered at Fixed Price well below cost; Currently only trades 5 days; Considerable upside for a “tech savvy” new Owner; For very genuine sale at amazing price of $10,000 plus all stock at $275,000. Freehold Warehouse/ Showroom available at $450,000. Benchmark Business Sales & Valuations.